Only showing entries about canyon from Roaming the world. View entries about canyon from all Travellerspoint blogs. 1 - it is beautiful country, and one of the very few unexplored gems of Europe. 2 - it's very small and easy to travel. In 1 week you can cover cities, beautiful lakes and mountains. 3 - it's cheap. A beer for €1 in most places. 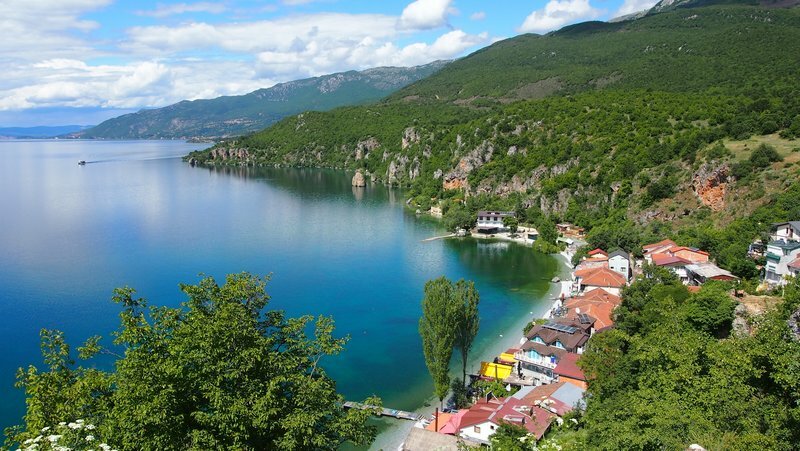 4 - budget flights from London to Skopje... and now straight to Ohrid! Macedonian cultural capital and one of the most beautiful towns I ever seen. 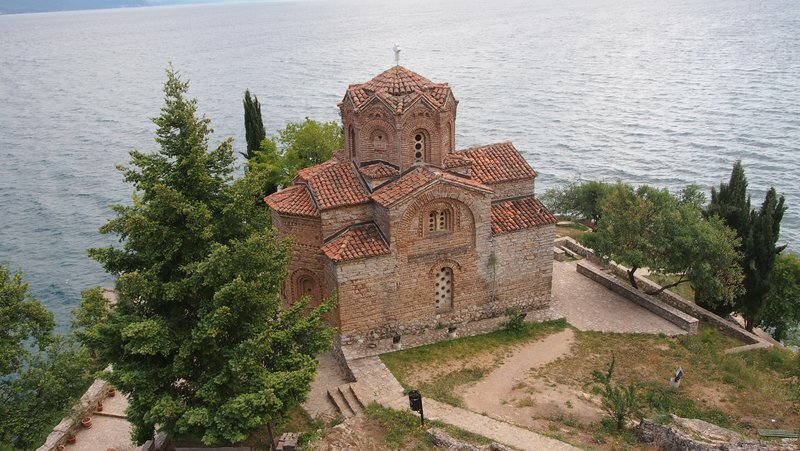 Ohrid is located on a shore of Ohrid lake, which is split in half between Macedonia and Albania. The old town is full of churches and other relics dating back to 11th century, the new town has good selection of bars and food joints for any budget. A small idyllic village just 30 min away from Ohrid. You can take a bus from the main street (towards St Naum Monastery), when you stand on a bus stop a taxi driver may show up and offer to take you there for price of bus ticket. This is not a scum, he will just get more people to fill up the car. Trpejca is a great place to chill for a day or two, has a few beach-side restaurants and a shop. The lake is at an altitude of 800m and up to 600m deep, and this makes it seriously cold. Every house in town doubles as a guest house, we payed €10 per person for a studio. 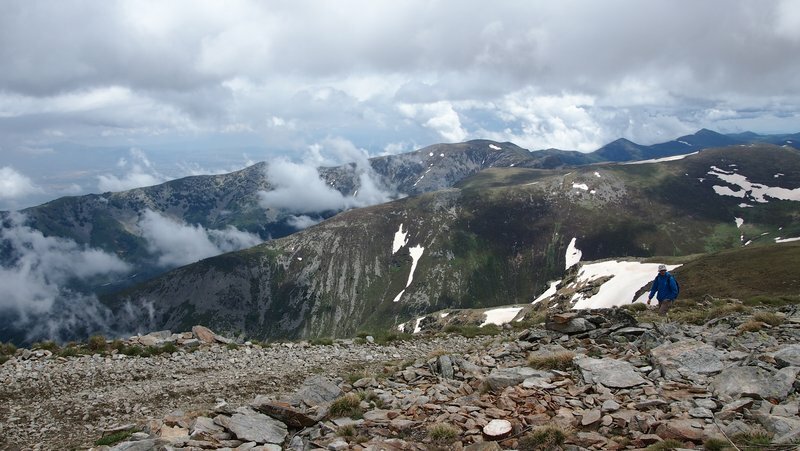 Pelister (2600m) is the highest and only peak in the center of Pelister national park. There are a few well marked trails and the views from the top are magnificent. We trekked from Brajcino to Molika hotel, 35km across the entire park, that was one of the most strenuous treks we ever done. Second largest city in Macedonia. It's a home to Heraclea - ancient city and archeological site. 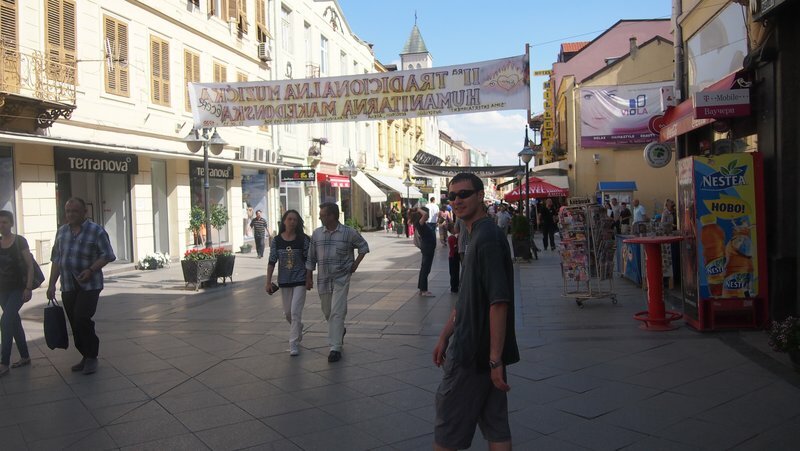 Shirok Sokuk (Marshal Tito street) is the heart of the town, full of bubling bars and restaurants. You may also want to visist bazar for some more traditional scene. Great for people-watching. I love mount Vodno. It towers right over Skopje and is a perfect choice for your last day before you have to catch a flight/bus and move on. You can either hike up, take a taxi, bus or a cable car right to the top of Vodno for great panorama of Skopje. 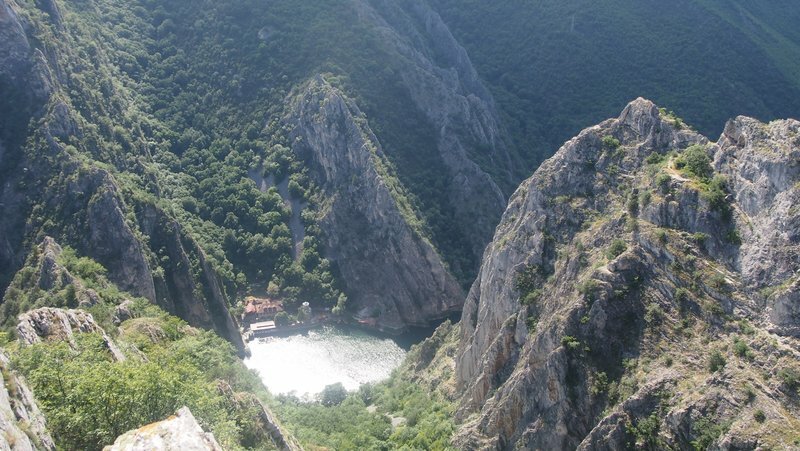 But even better is to take a 2 hour hike in an opposite direction to Matka Canyon. An artificial canyon formed in very beautiful setting, with a monastery on one side and a restaurant on the other. A great place to grab a cold beer after descending some very steep steps. Than just grab a bus back to Skopje.